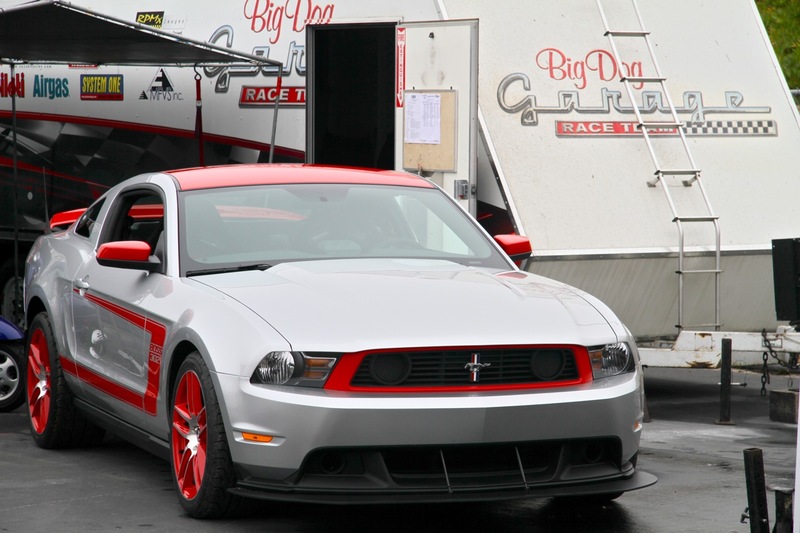 I'm not really worried about there not being enough Boss 302's to go around. I'm top of the list (actually the only one on the list at the moment) at the dealership I got my GT500 from, so I'm not worried about missing out. The only thing that does worry me are the color schemes. I think the black or white roof ruins these cars and I hope Ford is checking out these message boards and seeing what I poor design idea it is. I don't care how awesome it drives I just don't think I could look at the car and not feel a sense of disappointment every time. I'm also #1 at my dealer, I agree, the black top is awful, if they stick with this color scheme, the first modification I'm having done is repainting the top to match color of car. I just think they were trying to really differentiate it. Black on black mustangs have been done forever. Not to say that's bad- as I for one love the look, but- there color combo lets you know what's coming- as it's never been seen in a mustang- but yet still draws subtle cues from the original. Purists- are harping about how it isn't throwback enough, while enthusiast are celebrating the 'retroness' it does have and it's own uniqueness. As the car pays hommage to the original, yet should be allowed to still incorporate new aspects. Real (production) heavily track influenced cars (pics) have always worn a more vivid paint scheme... yet, still draw the people as you know it's not a typical make. And that's exactly what these colors accomplish. I for one applaud them. Exactly wait, give me one poor schmuck who paid an ADM that didn't regret it later as the same car was selling for invoice! Every Shelby GT500, KR, GT, GT/CS, Bullitt, Mach1 at the end of their run sold well under invoice. I don't know if that is going to change. It might, but I doubt it. The car is heavily inspired by the racing model that made the Trans Am circuit in 69, hence the white stripes which were very prevalent on many of the racing models and the white roof. I am guessing that is why the blocked off fogs. I actually do agree with the roof though. It is fine in the black, but in white they should just go all out meaning the spoiler and rear panel white as well. One of the 2010 302's had this. Otherwise just do the stripes and hood. Last edited by 94gt; 8/17/10 at 03:36 PM. I've never been the "gotta have it now" type. Bought all my cars on A/Z Plan. I know a guy who paid an extra $10k for his Shelby GT500. 1st guy in the State to own one. Big F-N deal! I bet the guy regrets it now?! I don't like the roof matching the stripe color. Other than that it's a hit with me. Overboost: Dat's cuz the very first 1969 Boss 302 Mustangs campaigned in the 1969 Trans-Am season by Bud Moore's shop in Spartanburg, SC had white roofs ("rooves" as in "hoof/hooves" just can't be right). Their bodies were regular Mustang red (although Ford called it "Candyapple red", it was in no form or fashion a candyapple paint), the hoods and the sides of the roofs were black, and the tops of the roofs were white. Neither Bud Moore, nor Carroll Shelby, nor John Holman/Ralph Moody campaigned silver Boss 302s or black Boss 302s. If Ford insinuates that they did, that is revisionist history and don't you believe it! I love the "regular" Boss 302 Competition Orange with black trim paintjob. 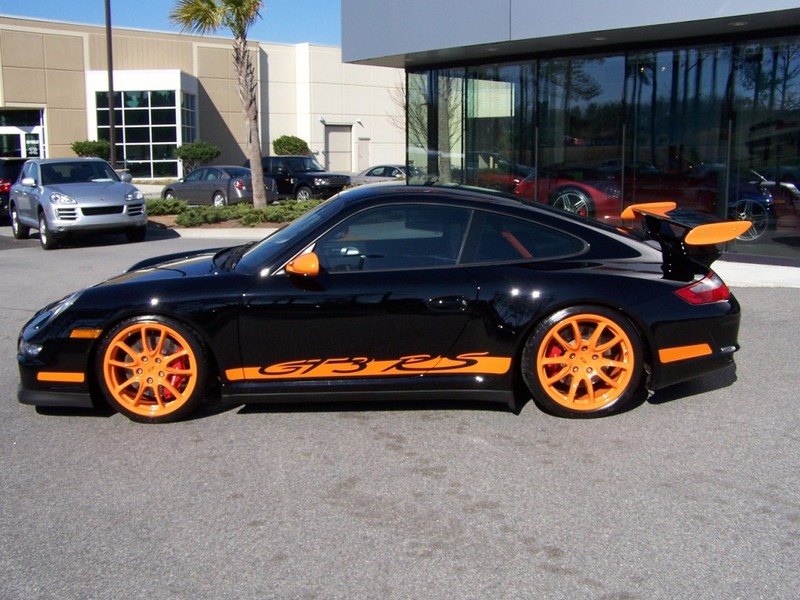 The Laguna Seca versions should be painted just like that, too! But who listens to me? Last edited by Eights; 8/17/10 at 10:27 AM. Last edited by Topnotch; 8/17/10 at 10:45 AM. I understand why it was done that way Greg, but I still don't particularly care for it. It definitely pays homage to some of the earlier race teams, which is cool. I will agree with you though, the white, orange, and red with black graphics should look great. I'm too lazy to dig up pictures, but I can think of a few cars with 'black' roofs that look nice. E92M3 with it's CF roof (I'm sure none of us would be complaining if the roof was CF), and the older Mercedes E classes had black roofs - looked great. I'm fine with the current color offerings and in a way I kind of understand what Ford is doing here. Although that p-shopped Laguna version with the black/black looks great, for your average person, it's going to look like . . . . a mustang. Ford wants these things to be noticed. Wow those are some amazing chops... they look legit. Too bad we can only dream right? Ford that black on black LS is flawless... make it, damnit! First year for Leather may have been some time between '74-78 on the Mustang II (I'm not very familiar with these), but if not 1979 / the 1st year of the FOX body Leather was definitely available. The regular Boss 302 is hands down the best offering out of Ford I've seen since the Terminator and thee Leguna Seca gives me butterflies inside. We've finally got a "Cobra R" of the S197 generation. this is fanfreakingtastic. 36k sounds like a STEAL for all that you get! Any thoughts on if this will be a more than one year production? If I'm willing to pay MSRP what are the chances I could actually get one? jedikd: $36k sounds a mite low, and maybe waaayyyy low. If sales are really good, though, they'll keep making 'em until something interferes--like CAFE or the NHTSA or the ACLU or who knows what. Just today I read that the CAFE standards just got raised to 60 MPG for 2025!! YIKES!!! B. Everyone who can afford one, gets one. I think Ford has done a terrific job if this vehicle is reliable and provides performance greater than the sum of its parts. They claim that they have, and I'm inclined to believe them. By the way, I keep reading that the LS copies the 302R's aero, but I have yet to see one of the R's with even the small 302 splitter, or with the large rear wing. This seems like a dubious claim to me.